Generous Length and available in various sizes and colours. Now including Hi-Vis Green and Orange. These Bamboo Mens Singlets will help keep you warm in winter or wear as an outer garment in summer. The always popular Bamboo mens singlets just got better by now coming in Bamboo fibre. 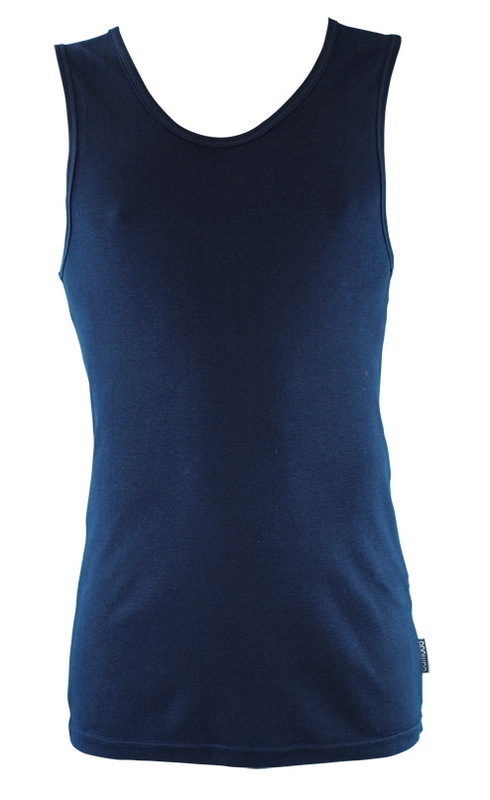 These soft comfortable bamboo singlets are moisture wicking, anti odour and unbelievably soft. Made from a bamboo rib, they fit snug against the body and are very soft. Great to wear under work shirts during winter to prevent rubbing. These Singlets are very generous on length. Available in a range of colours and sizes including Hi-Vis Green and Orange.